In late 1942 and May 1943, as the Nazi program to murder all the Jews reached its apex, desperate attempts were underway to rescue several thousand Jewish children by ransoming their lives in exchange for German nationals held by the Allies. Negotiations were progressing until Haj Amin al-Husseini, the Mufti of Jerusalem, got wind of these plans and protested vociferously. The deals were cancelled and the children presumably perished in the Nazi killing centers. The mufti was making protests everywhere …The mufti was an accomplished foe of the Jews and did not conceal that he would love to see all of them liquidated. These incidents and many others are extensively documented in Jennie Lebel’s penetrating book, The Mufti of Jerusalem: Haj-Amin el-Husseini and National-Socialism (published by Cigoja Stampa, Belgrade, Serbia, 2007). Lebel exposes the Mufti of Jerusalem’s intimate involvement with the Nazis. Her book includes numerous reproduced letters written by the mufti and photographic evidence of his meetings with senior Nazi officials. The noted Serbian-Israeli historian gives particular attention to the mufti’s activities in Yugoslavia, adding new insight into the substantial service Haj Amin provided to his Nazi paymasters. 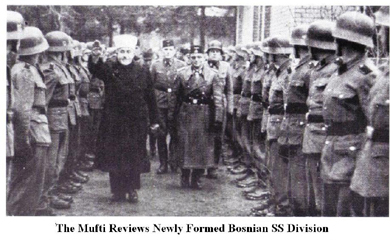 The mufti was instrumental in helping to recruit several SS divisions made up of Bosnian Muslims to engage in anti-partisan operations and even serve on the Eastern front to battle the Soviet forces. He lent his prestige as one of the world’s most visible Muslim leaders to convince his fellow adherents in the Soviet Union to defect to the German side. Lebel explores the reciprocal affinity many Nazis felt for Islam. She reveals that SS chief Himmler cultivated a fascination with Islam. For example, Muslim SS units were unique in being allowed to include a religious officer and regular prayer. One chapter describes the efforts of German propagandists to eliminate the use of the term anti-Semite in official Nazi publications and replace it with more specific terms like anti-Jewish, in order to avoid lumping Arabs together with the object of their hatred, the Jews. Through Lebel’s account, the mufti emerges as a consummate political operator, combining in equal measure pathological ruthlessness towards Arab competitors and obsequiousness to murderous demagogues. The mufti cultivated personal friendships with senior Nazi officials, especially Himmler. The book reproduces fawning letters penned by Haj Amin as he strove to ingratiate himself with Nazis officials. In one letter intended to court Hitler on January 20, 1941, he described the German Fuhrer as a descendent of the Prophet and the savior of Islam. At the war’s end in 1945, the Yugoslav government announced their intention to try him for his role in war crimes committed by Muslim SS units on Yugoslav territory. British and French ambivalence over prosecuting him, however, facilitated his “escape” to Egypt where he reasserted his role as Palestinian leader. Haj Amin rejected any compromise solution and organized violent opposition to the establishment of the new Jewish state. Ultimately his machinations failed to prevent Israel’s rebirth and his hardline stance left the Palestinians without their own state. Yet Haj Amin left an indelible mark by enshrining as a central tenet of the Palestinian cause, Israel’s dismantling. Scion of a prominent family who had held the role of mufti, Haj Amin El-Husseini was appointed Mufti of Jerusalem in 1921 aided by sympathetic British officials. He advocated violent opposition to Jewish settlement in the Mandate for Palestine and incited the Arabs against the growing Jewish presence. Lebel describes the violence of 1929, where Haj Amin spread the story that the Jews planned to destroy the Dome of the Rock and the Aqsa mosque. Using falsified photos of the mosque on fire and disseminating propaganda that borrowed from the anti-Jewish forgery, the ” Protocols of the Elders of Zion,” the mufti instigated a widespread pogrom against Jews in Palestine. On Aug. 23, Arabs streamed into Jerusalem and attacked Jews. Six days later, a second wave of attacks resulted in 64 dead in Hebron, 45 in Safed. The Jews were not the most numerous of Haj Amin’s victims in Palestine. During the years of the Mandate, local Arabs who did not share his extreme hostility towards the Jews were targeted and eliminated. Throughout the 1930s he instigated a campaign to intimidate moderate Arabs and assassinate those branded as traitors for selling land or cooperating with the Jews. Haj Amin’s followers killed many more Palestinian Arabs than the British colonial occupiers or Jewish defense groups combined. This campaign, in its brutal execution, succeeded in solidifying the link between Palestinian national aspirations and the muftis opposition to any accommodation with the Jews. The Mufti injected a religiously based anti-Jewish component into the emerging Palestinian national consciousness. Lebel relates how in 1931, Haj Amin organized the Pan-Islamic congress, which demanded the end of Jewish immigration and rescinding of the Balfour declaration. 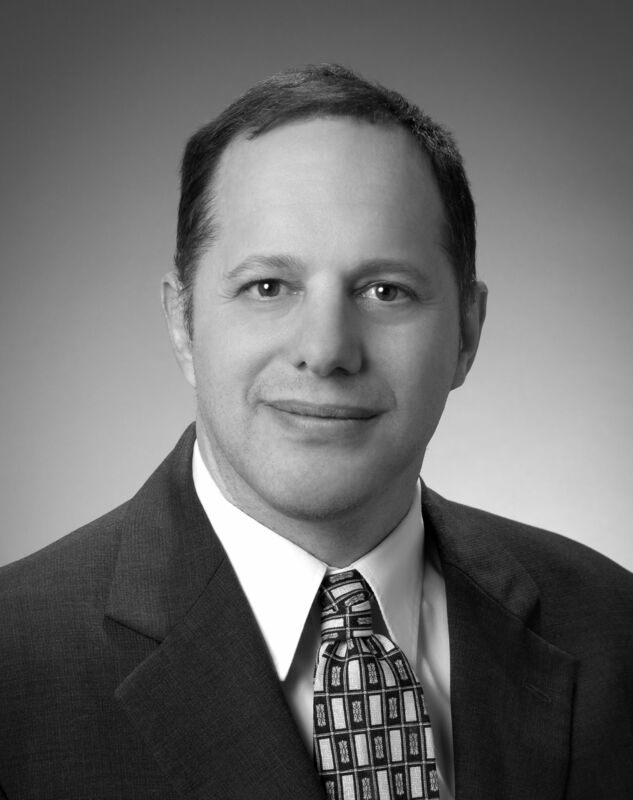 Jewish journalists were expressly not invited to the congress, as Gershom Agronsky, the Jewish correspondent for the Christian Science Monitor, found out when his paper was notified he would not be allowed to attend. Presaging modern boycott proposals against Jewish settlement, Haj Amin called on all Muslims to boycott Jewish goods and organized an Arab strike on April 10, 1936. The Arab Higher Committee, controlled by the Mufti, proposed a ban on the sale of land to Jews and a halt to Jewish immigration. Haj Amin’s extreme positions inevitably led to a clash with the British, who had to temper their desire to appease the Arabs with their commitment to a Jewish national home. Almost from the start he had charted a separate course from the British. He saw in the Nazis and Italian fascists natural allies who would do what the British were unwilling to do — purge the region of Jews and help him establish a unified Arab state throughout the Middle East freed from British control. As early as 1933, the mufti sought to establish an alliance with the Germans. It was the Germans who were more circumspect. Jewish problem in the Axis states.” Haj Amin also approached Fascist Italy, at one point requesting Italian assistance in poisoning the water of Tel-Aviv. His role in the revolt in Iraq against the pro-British government on April 1, 1941 is also examined. 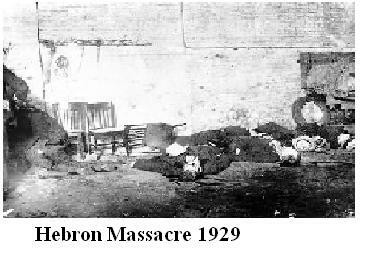 Although the coup was defeated quickly and with relative ease, the unrest did inspire a pogrom in June that left at least 180 Jews dead. A British Commission set up to investigate found the German League and the mufti responsible. Most of all, Lebel provides new details on the muftis wartime sojourn in Nazi Germany. She precisely traces his contacts with Nazi leaders. He arrived in Berlin on November 5, 1941 with assurances by Nazi Foreign Minister Ribbentrop that “Germany considers the Arab question with sympathy.” On Nov. 28, 1941, he met for the first time with Adolf Hitler, relaying to the German leader the Arab conviction that Germany would win the war and that this would benefit the Arab cause. While Hitler shared the mufti’s belief that the present war would determine the fate of the Arabs, his priority was the struggle against what he saw as Jewish-controlled Britain and the Soviet Union. Lebel reveals Hitler’s promise that when the German army reached the southern borders of the Caucasus, he would announce to the Arab world their time of liberation had come. The Germans would annihilate all Jews who lived in Arab areas. In early 1943, while the Second World War still raged, the mufti urged Germany to bomb Tel Aviv and Jerusalem. He also proposed parachuting forces into Palestine for sabotage operations. The plans included partitioning up Jewish property and Jewish women. Like his successor as leader of the Palestinian cause, Yasir Arafat, the Haj Amin’s weakness was his ineffectiveness in carrying out the more practical responsibilities of leadership. Having gained prominence through assassination and maneuvering under the umbrella of powerful patrons, he was ill-prepared for the role of organizing an effective military effort to oppose the establishment of the Jewish state. The forces he helped organize, a mixture of local Arabs, German and Bosnian SS recruits, and volunteers from surrounding Arab states, rapidly deteriorated into a rabble. By the time the Jewish leadership announced the founding of the Jewish state on May 14, 1948, the military effort against the Jews had passed to the regular Arab armies of Jordan, Egypt, Syria, Lebanon and Iraq. With the disintegration of his forces, Haj Amin’s influence declined as well. Foreshadowing the current Palestinian political alignment, he established himself in Gaza backed by the Muslim Brotherhood, while the more moderate Jordanians dominated the territory that would come to be known as the West Bank. Distrusted by the Egyptians, who then, as now, had an uneasy relationship with the Muslim Brotherhood, Haj Amin’s position eroded. On December 20, 1948, Jordan’s King Abdullah removed Haj Amin from his position as mufti. By March, 1949, Haj Amin’s authority was so eroded that when he boycotted the UN Palestine Conciliation Commission, he was simply ignored. Lebel’s thorough documentation of the mufti’s intimate involvement with the Nazi regime sheds needed light on the virulent anti-Jewish and fascistic underpinnings of his brand of Palestinian nationalism. While his political plans to establish a Palestinian state and bestow upon himself the role of preeminent leader of the Arab world ultimately failed, Haj Amin el-Husseini left a deep imprint on Palestinian consciousness. His conspiratorial view of Jewish ambitions are reflected in the widespread dissemination of such publications as “The Protocols of the Elders of Zion”and Hitler’s “Mein Kampf” in the Arab and Muslim world. The view of the Jews as contaminators of society and malevolent conspirators resonate today in the founding Charter of Hamas. Jennie Lebel has shown that it is possible to bring forward fresh insights and new information on a topic that has already been well mined. Her book adds a new layer of detail to our understanding of the connection between Israel’s Arab enemies and German Nazis.